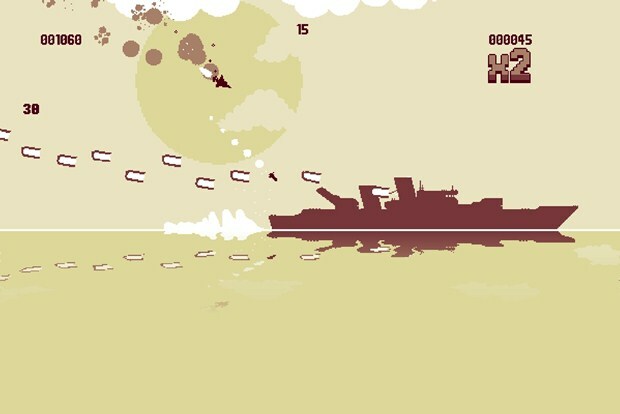 Greater than the sum of its parts, LUFTRAUSERS wraps something fresh into its old school package. You haven’t seen many genres around quite as long as the Shmup, or any quite as ranging. From the classics of Galaga and Space Invaders, to the Resogun and Geometry Wars of modern times, shmups come in all shapes and sizes. In that fashion, the World War Two themed LUFTRAUSERS doesn’t do a whole lot that it can call itself new. The term stagnation tends to be thrown around a lot in a situation like this, but LUFTRAUSERS manages to pull the pieces into something rather unique and fun to play, if not without issues. The first thing that will strike players going into LUFTRAUSERS is the minimalistic, almost Atari level of visual design. Elements are immediately distinctive, and you know exactly what you are, what you need to shoot and what you need to avoid being shot by. Enemy units pop out of the background, your shots are distinct from the rounds of your foes and keeps the user interface to a minimum by representing your current health neatly by a contracting circle when taking damage. "The gameplay is a rather unique blend of Time Pilot, Lunar Lander games and Astroids, where you need to think just as much about your piloting as you do the enemies around you." Everything is immediately identifiable and visually reminiscent of old war footage. Should you not like the sepia tones of the visuals however, the game leaves the promise of packing in various palettes that can be swapped between attempts, though this wasn’t available as of review time. The music is far less immediately striking, but in service to the presentation takes a somewhat cliche third reich soundtrack and has a catchy, familiar sounding mix for the gameplay. 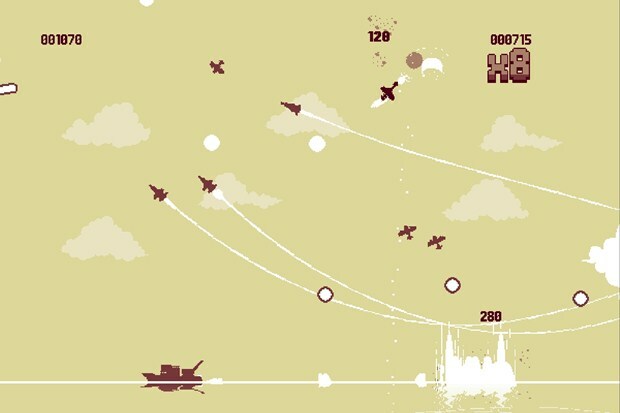 Crashing in LUFTRAUSERS is inevitable, but in particular, you’ll be crashing a lot when first starting out. The gameplay is a rather unique blend of Time Pilot, Lunar Lander games and Astroids, where you need to think just as much about your piloting as you do the enemies around you. If you aren’t careful to keep yourself propelling around, you will quickly find yourself nosediving towards the water, potentially into a ship. Dropping your velocity however, can allow you to make tighter turns and get the drop on incoming fighters. This constant fight against gravity, as well as the enemy fighters gives LUFTRAUSERS a unique feel to others in the genre. Enemies come in all shapes and sizes, from tiny gunboats, to fighter planes firing missiles after you, to huge battleships. Each enemy demands a different tactic, with ships often being the most difficult and rewarding to take out, as you skim the water and dodge their massive volleys. As previously mentioned, health is handled in a very visual manner by a contracting circle around your plane while taking damage, and other visual stimuli such as smoke can tip you off that you’re in trouble. "The game rather proudly boasts it’s 125 different combinations of parts, and it leaves a lot of room for the player to find what they’re comfortable with and balances it with time to play with all the toys as you earn them." This drops another, much more unique mechanic into LUFTRAUSERS, something not exactly ingrained in the muscle memory of a shmup player. Should you stop firing, you’ll begin to repair slowly. Repairs never take so long that they break the pace or the tension, but are just long enough to break that all important, score multiplying combo. There is a certain risk to reward to be weighed among everything else, on how much longer you can keep firing before you need to back off a bit to preserve yourself. 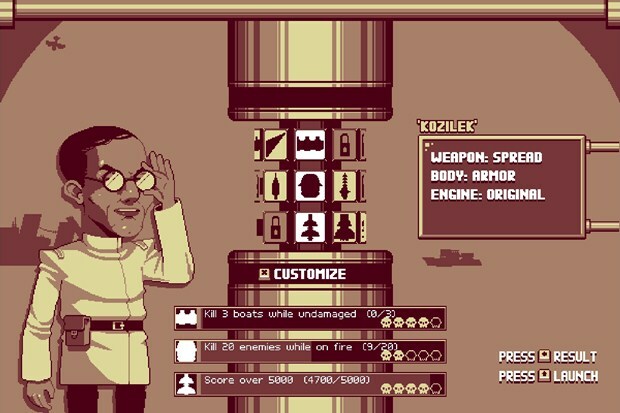 The menus between attempts follow the visual style of the game with cartoon-esque and caricature-esque Nazi’s, and a grainy brown mission documents look to the few menus. It’s here where you can peruse stats, view challenges for the next go and customize your own ship with parts gained. The game rather proudly boasts it’s 125 different combinations of parts, and it leaves a lot of room for the player to find what they’re comfortable with and balances it with time to play with all the toys as you earn them. Each part is completely unique, and nothing feels like filler to boost the number of possibilities. Changing a single ship part can change your whole movement and play style, and finding a favourite, or just a new combo becomes a game of it’s own. "This deceptively simple looking game takes bits and pieces from many of the classics, as well as a few contemporaries, and layers them together into something that feels much like a great sandwich." While the concepts driving it give the game a special quality, the controls are consistently hard to come to terms with. Regardless of your orientation, you propel with up. And steer left and right from there. Using a keyboard in particular is an exercise in frustration, and connecting a controller can only resolve so much. Once you’re over the learning curve and get to grips with the controls, parts can be unlocked to customize your ship, and your play style by progressing through the stages. 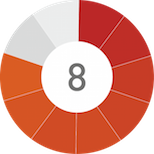 Progression happens through scoring a specific number of points over your attempts, though there is little to tell you how close you are to the next level. The whole progression by points system itself is a little questionable, relying more on blind perseverance than mastery of the game mechanics. This deceptively simple looking game takes bits and pieces from many of the classics, as well as a few contemporaries, and layers them together into something that feels much like a great sandwich. Not too much to digest, and surprisingly meaty. The controls add some unwelcome mustard to the taste, but once you get past the surprise of it, still very enjoyable. Uses old ideas in new and interesting ways, visual style services the gameplay, making everything immediately identifiable, tons of options for ship building gives the player control over their style. Controls take a lot of adjusting, PC version almost demands a controller, progression system rewards brute force more than player skill, minimal visual indication of progression.